The location of your Chevy Silverado’s cab corners makes them susceptible to dirt and corrosion build up. As a result, after years of faithful service, rust can reduce the value of your truck and even shorten its useful life. The cab corners on many trucks suffer from rusted or otherwise damaged cab corners after several years of work and require replacing. Raybuck Auto Body Parts is your top online source for the best selection and quality around, so browse our catalog today. Our helpful sales team can answer questions and help you find the right parts, so let us know how we can help! Quality and precise fit are two things you need to consider when you are buying replacement cab corners for your 1999-2007 Chevrolet Silverado or GMC Sierra pickup. While cheaper parts may exist, choosing low-quality parts guarantees headaches during installation and can lead to problems in the future. At Raybuck Auto Body Parts, all of our manufacturers use high-quality steel and precise manufacturing processes to ensure consistent and reliable parts. Getting a product that fits right the first time means you won’t waste time trying to make your parts fit once you’ve cut away your rusted cab corners. You won’t have to make modifications or adjustments. Whether you need 1999 Chevy Silverado cab corner replacements, 2000 Chevy Silverado cab corners, 2001 Chevy Silverado cab corners, 2002 Chevy Silverado cab corners, 2003 Chevy Silverado cab corners, 2004 Chevy Silverado cab corners, 2005 Chevy Silverado cab corners, or 2006 Chevy Silverado cab corners, select the cab corners that are designed for your truck with confidence and be sure they’re the right ones for you. When you receive your parts, you’ll see that the thickness of the steel is equal to or greater than the thickness of your original cab corners, ensuring they’ll give you years of reliable service. Always remember to note if you need a replacement cab corner for the driver or passenger side of your Silverado or Sierra and select the correct part, since these parts are not interchangeable. – Cab corners without extensions: These parts suit when just the corner is rusted away but your rocker panels and door sills are intact. You simply cut out your old cab corners and weld the new ones into place. – Cab corners with extensions: Choose cab corners with extensions if your door sills have started to rust and you need to cut some of them away. You will join your cab corners to your door sills for a clean finish. 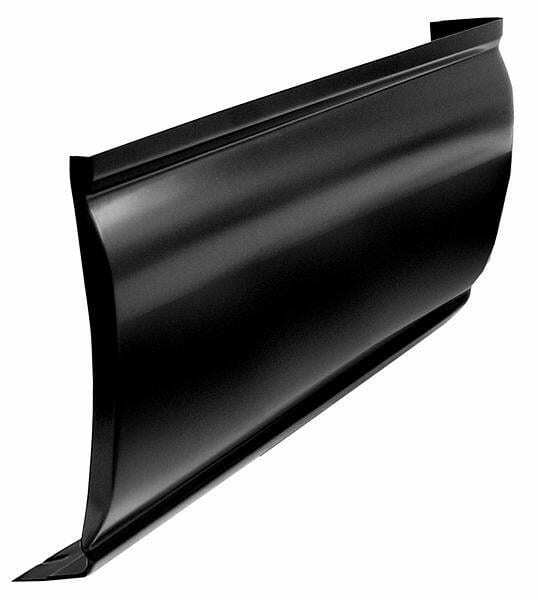 If you’re not sure which type of cab corners you need for your 1999-2007 Chevy Silverado or Sierra pickup, let us know and we’ll help you make the right choice. At Raybuck, we’re truck owners and enthusiasts, too. We only want the best replacement parts for our pickups, which is why we only carry high-quality cab corners for 1999-2007 Chevy Silverado and 1999-2007 GMC Sierra pickups. These parts are made from heavy-gauge stamped steel that meets or exceeds the thickness of the original part. That guarantees adequate durability and allows for welding with less risk of warping or burn-through. To ensure the best fitment possible, original cab corners are scanned using a 3D scanning process. This dimensional information is used to create our replacement cab corners to the same specifications as the original parts. You can be sure your new cab corners will fit perfectly and match the shape and contours of your 1999-2007 Chevy Silverado or GMC Sierra. If you know which type of cab corner you need for your 1999-2007 Silverado or Sierra truck repairs you can browse our catalog according to your year, model and style of truck. If you need some assistance or have any questions, contact us by phone, email or online contact form. One of our knowledgeable sales reps will get back to you right away and point you in the right direction.